Last year I hosted a Talisker Masterclass in my neck of the woods. 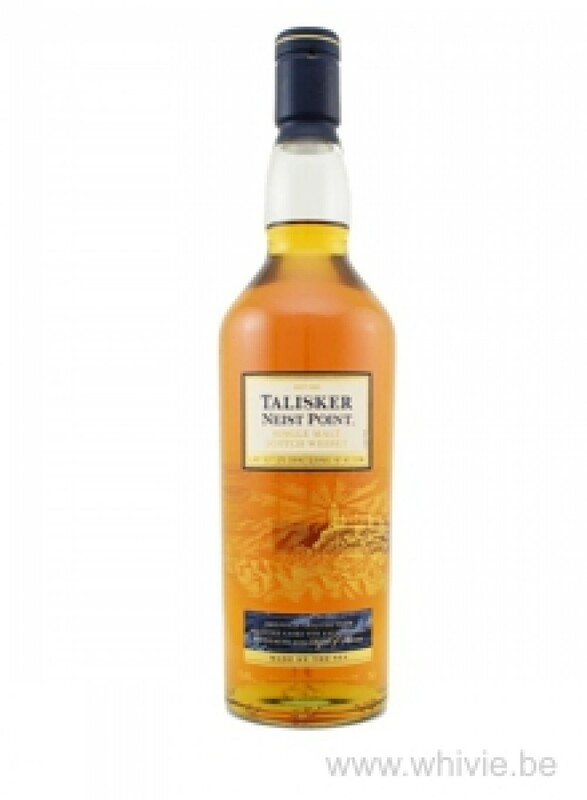 What we tasted was top notch, but this Talisker Neist Point was not in the line-up then. I had not even tasted this Travel Retail Exclusive yet. Pascal, one of my whiskybuddies present at the tasting, told me it was very good and even went so far as to offer me his bottle with a few drams left. So I was able to taste it at last and share my thoughts with you. The nose is rather atypical in fact. First I get some Granny Smith apples, followed by peach and apricots and only then the soft smoke and some maritime elements emerge. I do believe some sherry casks were used. Caramelized nuts. A salty edge that is completely smothered by the caramel and other sweet notes. But it has to be said: it works! Wonderful nose, if you ask me. Nicely oily and immediately peppery as you are used from Talisker. Sweet and salty at the same time, mildly drying and with a bitterness from grape pith. The spiciness becomes louder as the malt settles on your tongue. The smoke, however subtle, is unmistakable. On the finish – which is long without a doubt – becomes even more drying. A strange, somewhat floral, almost soapy note, lingers (without being disturbing). Still to be found left and right (and at the distillery itself) for around 80 EUR. Not cheap, but very good. Thanks, Pascal. It convinced me to buy two bottles for my personal pleasure!